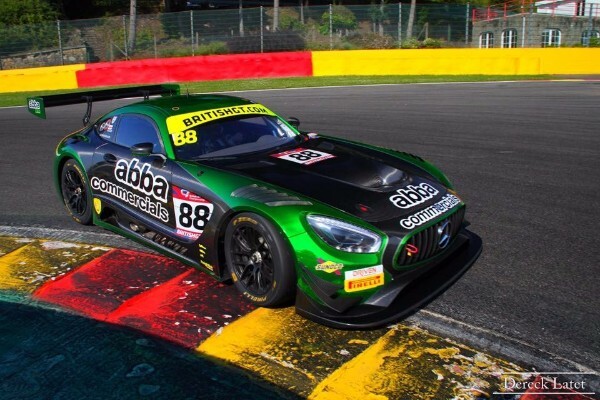 Adam Christodoulou came away with a seventh place finish from his second outing for Team ABBA with Rollcentre Racing, as the British GT Championship headed to Spa-Francorchamps in Belgium. 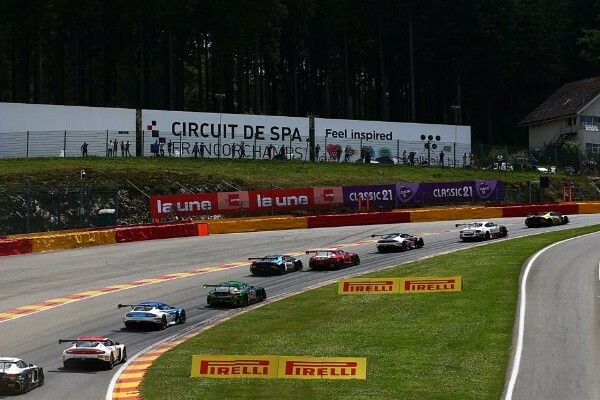 The world-famous 7.004 kilometre circuit welcomed British GT’s biggest GT3 grid of the season, with several additional entries from the Blancpain GT Series using the event as a warm-up for the Spa 24 Hours later this month. Sharing the No. 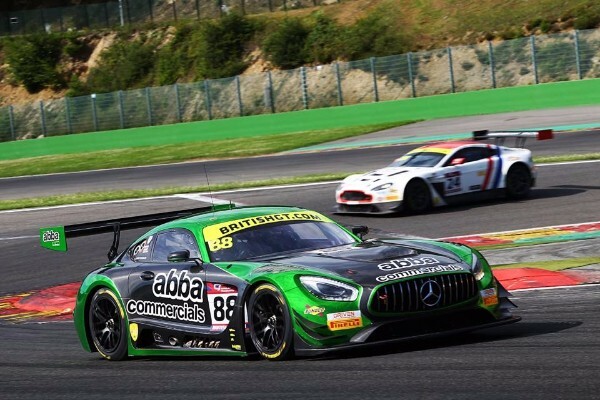 88 Mercedes-AMG GT3 with Richard Neary, Christodoulou hoped to put the knowledge gained from participating in Tuesday’s official Spa 24 Test Day with AMG Team Black Falcon to good use and duly delivered, as he fought through the order from eleventh to seventh in race one. Two lengthy safety cars limited Neary to just two racing laps in his opening stint, but taking over the reins at the beginning of the pit window, Christodoulou made good progress through the pack. Just three seconds covered second through to seventh positions at the flag, with the Englishman just a couple of car-lengths behind the TF Sport Aston Martin which won the two-hour race last year. 28-year-old Christodoulou felt there was more to be found in race two, this time starting from seventh, but didn’t get a chance to show it after becoming embroiled in a first lap incident. The Mercedes-AMG GT3 was hit from behind at Les Combes by a car outside the parameters of the track, then T-boned by an unsighted car behind. The contact broke the upright, leaving him unable to make it back to the pits without causing further damage. 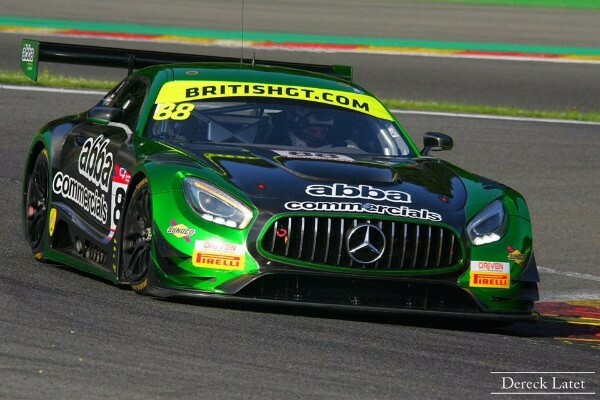 With many of the frontrunners hitting trouble, Christodoulou was left to rue a missed opportunity to give Team ABBA with Rollcentre Racing a first British GT podium. “It was a bitter pill to swallow because I really thought that could have been a good result,” he said. 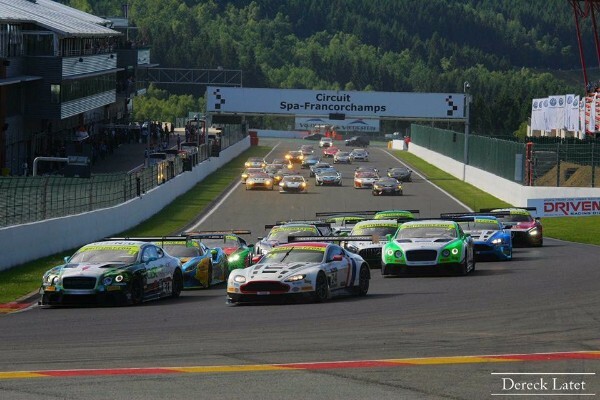 “Race one went okay, the car was handling nicely and I was able to do Eau Rouge flat-out consistently. We were in the fight for sixth at the end, but I think there was more there for us in race two. “It was very hectic at the start with everybody jostling for position. I managed to get down the inside of the AMD car, but the next thing I knew I was tagged into a spin and the Lamborghini just had nowhere to go. Despite the disappointing end to the weekend, the 2016 Nürburgring 24 Hour winner welcomed the opportunity to race at Spa just three weeks before the jewel in the crown of the Blancpain Endurance Cup, where Christodoulou will again team up with AMG Team Black Falcon team-mates Yelmer Buurman and Luca Stolz. “It’s always good to race at a track before you go there for a huge event, it just means that I’ve worked a little bit with the setup and even on one or two bits of the circuit, which should be fresh in my head when I come back,” he said. The next round of the British GT Championship is back on UK soil at Brands Hatch 5th and 6th August . 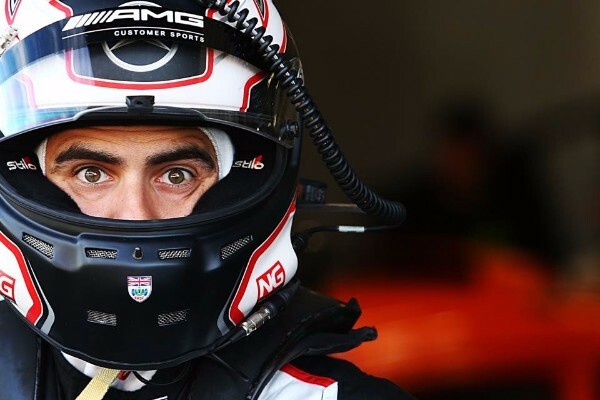 It will be Christodoulou’s first time racing on the historic Grand Prix circuit since his championship-winning Formula Renault UK 2.0 campaign in 2008, but he is optimistic that the recent form of the Mercedes-AMG GT3 in the Blancpain Sprint Cup and co-driver Neary’s rate of improvement in their first time racing as a pair will present their best chance yet of securing a podium finish. “We’ve definitely made progress, it’s been fun improving the car and the setup and working with Richard to try to get more out of him,” Christodoulou continued. “In the end, Richard managed to go about two seconds faster than he did last year during his qualifying, that’s the quickest he’s ever actually made his way around there which obviously bodes well for the rest of the season, starting at Brands Hatch.